As one of the biggest steel and steel building product manufacturers and distributors in Australia, it is important for The Apex Group to have an industrial storage solution that accommodates their product needs. The Apex Group is an Australian-owned organisation that continues to expand their product range to keep up with the growing needs of the industry. They are known for providing personal service and delivering superior quality steel to their clients. With Queensland locations in Northgate and Narangba, Apex Steel and MACRACK are both local, Australian-owned manufacturers. MACRACK has worked with Apex to create a tailored warehouse storage system, mostly using steel coil racks for their product. Coil racking is a safe and effective way to store coiled product in a warehouse, getting maximum storage capacity in a minimal area. We use quality Apex steel to produce our pallet racking in our Brisbane manufacturing plant. By using each other’s services on a daily basis, MACRACK and Apex have built a strong relationship. Considering the vast variety of coil shapes and sizes, Apex required a versatile storage system with the ability to accommodate their product range. MACRACK used coil cradles to create a system that allowed 3 coils wide per bay. These could accommodate a range of weights and diameters, meaning product could be stored based off a coding system and not restricted on dimensions. Coil that is stored in this fashion can weigh a lot. Because we custom manufacture, we are able to ramp up the weight loads of our coil racks. This is especially critical when you are storing many levels above each other, imposing a lot of weight into the frame. MACRACK also offers floor-mounted coil cradles to prevent the coil from rolling around on the ground. These are very robust and able to withstand a large amount of weight. To prevent the cradles from moving, we dyna-bolt them to the ground, avoiding the possibility of a fork truck collision causing damage to the racking system. Whether you are storing steel coil, metal coil, industrial drums or other cylindrical items, the MACRACK experts can work with you to create and manufacture a system that works for you and your stock. Apex also uses a selective pallet racking system to store sheets of steel. 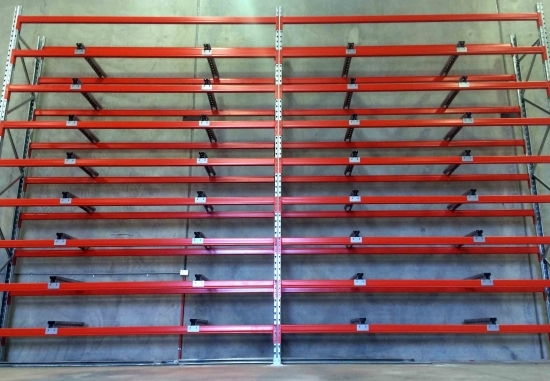 By using a standard pallet racking system with longer beams and deeper frames, we are able to store flat steel on fork entry bars. This system allows the forklift to pick up the materials while maximising floor space. Without using this system, Apex would have to store packs on the ground and take up a considerable amount of floor space. 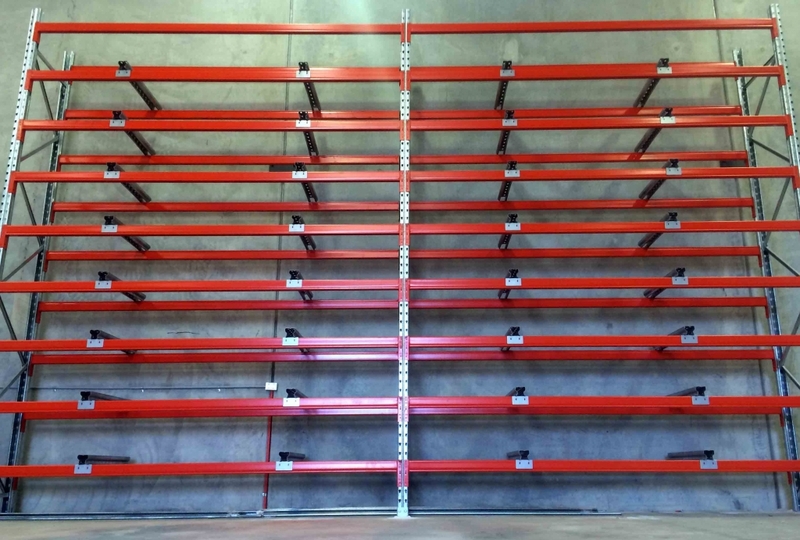 The possibilities of configurations for this pallet racking system are endless as MACRACK customises the racks to suit the product. For example, if the client has a 3000mm x 2400mm sheet, we can make a beam 3353mm wide and a double frame configuration 2400mm deep. Simple! The same goes for longer product – even sheets up to 4000mm wide are an ease to store. Depending on your product depth, we can recommend a frame depth to suit. 600mm, 840mm, 1200mm and 1500mm are our standard sizes, and if you need to go deeper we will simply supply you with a 2-frame-deep system. The Apex Group continues to rely on MACRACK for all of their industrial storage needs. By considering our clients’ individual requirements, we are able to deliver a tailor-made storage solution that supports their daily operations and warehouse logistics.